Birmingham, Alabama, circa 1906. "Title Guarantee Land and Trust Building." 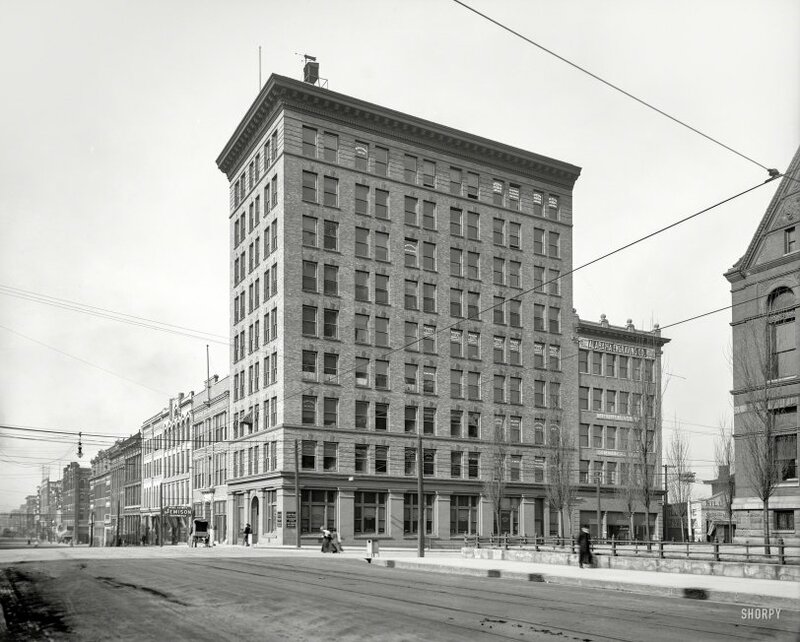 Completed in 1903, the structure still stands at Third Avenue and 21st Street. 8x10 inch dry plate glass negative, Detroit Publishing Company. View full size. Submitted by SirClownfish on Tue, 06/06/2017 - 10:50am. I drive by here often in my current life. This is between a highway on-ramp and the famous Alabama Theater. Most of this block stands. Although the streets look different, we have a lot of old buildings thankfully. This all makes me realize that I hardly take any photographs downtown, or I'd use my own.